Mama's favorite summer shoes and Ophelia's favorite summer shoes. Splash pads and sandboxes and grassy fields are what summer is all about. 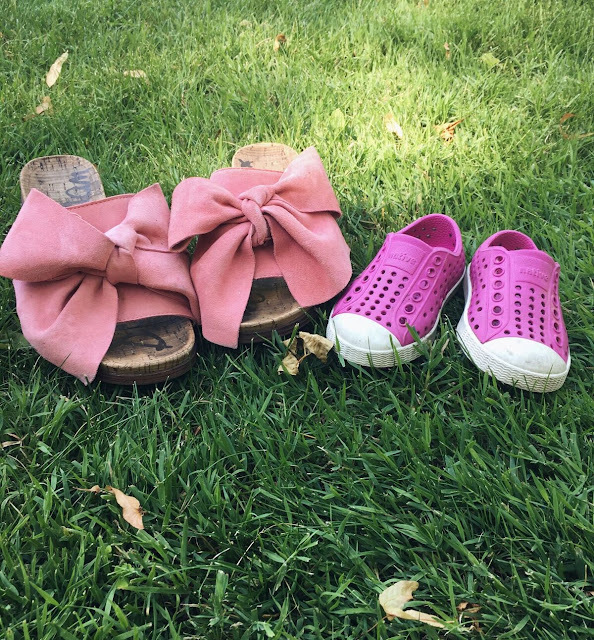 Summer shoes (when you can keep them on your little one- Ophelia is all about ditching her shoes lately) are key for keeping those little tooties safe. Here are our favorites! NATIVES (pink ones are here, black ones are here): Natives are our very favorites. They're waterproof, and sand shakes out easily. Ophelia wears these daily. Until of course, she decides she's over shoes entirely. SEE KAI RUN SANDALS (stripe ones here, brown ones here): See Kai Run shoes are created by a podiatrist and they definitely seem super comfortable. 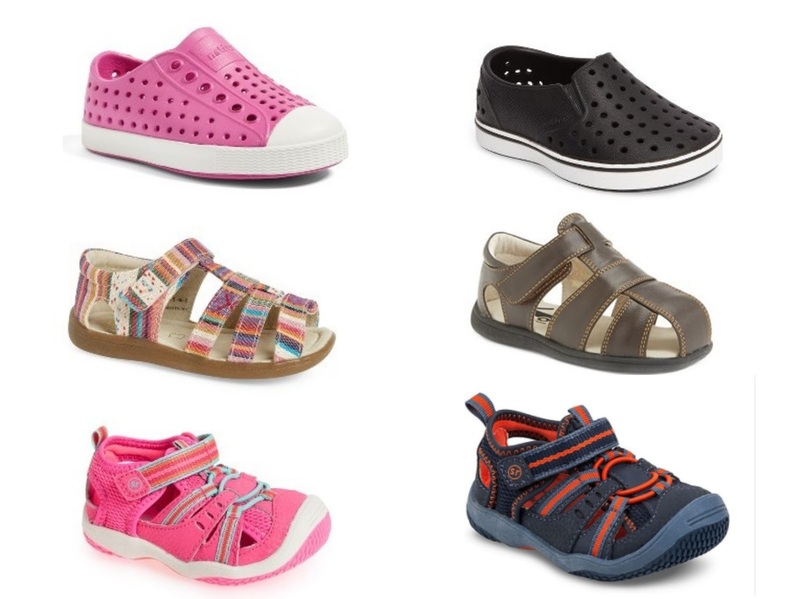 STRIDE RITE WATER SHOES (pink ones here, back ones here): Perfect for the splash pad! 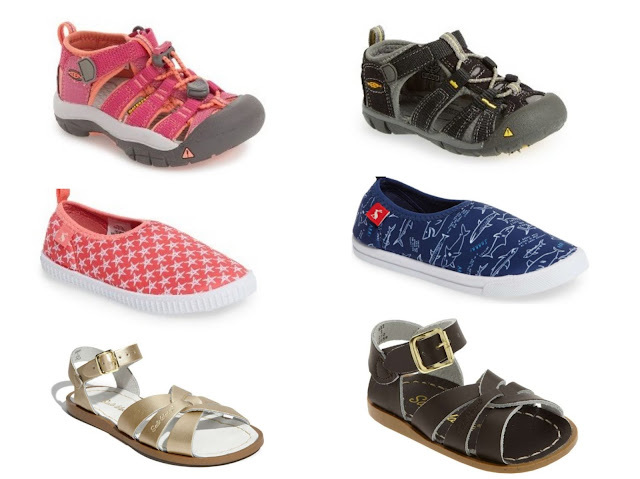 KEEN SANDALS (pink ones here, black ones here): Awesome for the little outdoor enthusiast- you can match mom and dad when you're out hiking. JOULES WATER SHOES (stars here, sharks here): These are just so cute. 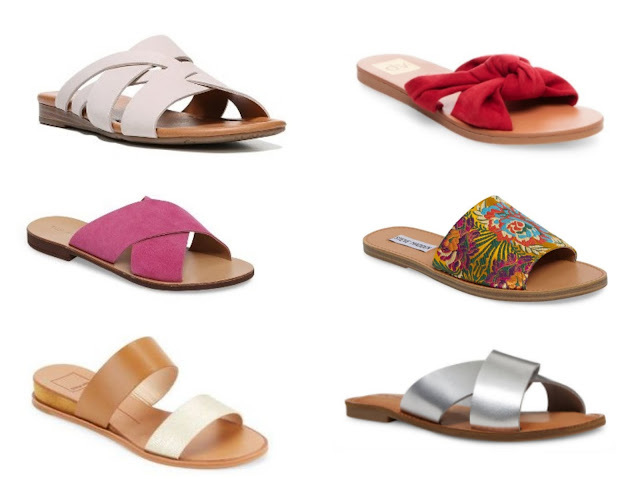 SALT WATER SANDALS (metallic ones here, black ones here): Summertime classics for a reason. These seem to run a little big- I'm still waiting for Ophelia to grow into hers. and of course, here are some pretty picks for Mama as well. Some slides that have caught my eye- and they're friendly on the wallet too! All under $50! My heart skipped a beat for the "momma's favorite shoes." OH MY GOSH, I love them. they're SO good! thanks for visiting! I am loving slides this summer! They are so comfortable and so cute! yes! me too! thanks for visiting! 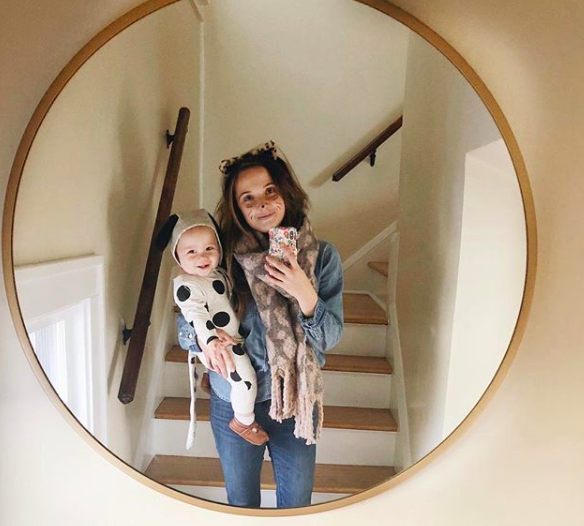 So many cute options! I love salt water sandals for my kiddos. I need some new sandals, but I keep forgetting to actually go get any. I'm going to look at some of your suggestions!